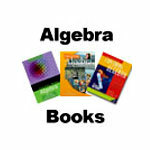 The World's best algebra books from Key Curriculum Press - with integrated use of ICT. Algebra enables pupils to hone their maths skills with endless practice. The software offers guidance with on-screen help. The program then enables pupils to work step-by-step towards the correct answer. This program, written by teachers David Benjamin and Justin Dodd, is far and away the best available for developing algebra skills. For use on one single computer. These lessons include direct-teaching and instruction that enables Spanish-speaking students who miss class, to catch up. Probability Activities motivates students whose skills need reinforcement but who are tired of rehashing the same material year after year. Algebra Explorations with a CBL, a TI-82 or TI-83, and Sensors by Jack Randall. Fascinating connections between maths and science through a collection of engaging activities. Music Is Sound Learning! Like author Scott Beall, you can capitalize on your students' natural interest in music to deepen their understanding of functions, transformations, and multiple representations of relationships. Click on the book cover to the left for further details. Introduce Your Students to Functions The Pattern and Function Connection introduces students in pre-algebra and algebra to the fundamental concept of a function and its multiple representations. Enrich Your Algebra Curriculum with Writing Activities. Gary Asp, John Dowsey, Kaye Stacey, and David Tynan. Using Graphing Calculators and Computers Can Help Make Learning Algebra More Interesting. A total of 12 items are available. You are currently viewing page 1 of 2.